Select an option Red Oak Cherry Maple Walnut Surprise Me! We now have two sizes to choose from! The cute squid for smaller projects and the delicate swordfish for longer things. These shuttles give you the ease of working with a needle or other thinner shuttle while allowing you to have lots of weft material at hand like a stick shuttle. 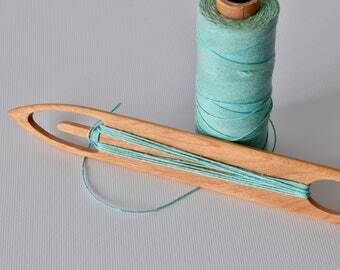 Great for more delicate work, and multi-shaft looms. Made from many different kinds of beautiful hardwoods so it's super durable! All products are hand sanded till they're super smooth, and then buffed with a natural beeswax blend to seal them. The squid shuttle is 5" long, 1/2" wide and 1/4" thick, while the swordfish shuttle measures 11" long, 1/2" wide and 1/4" thick. 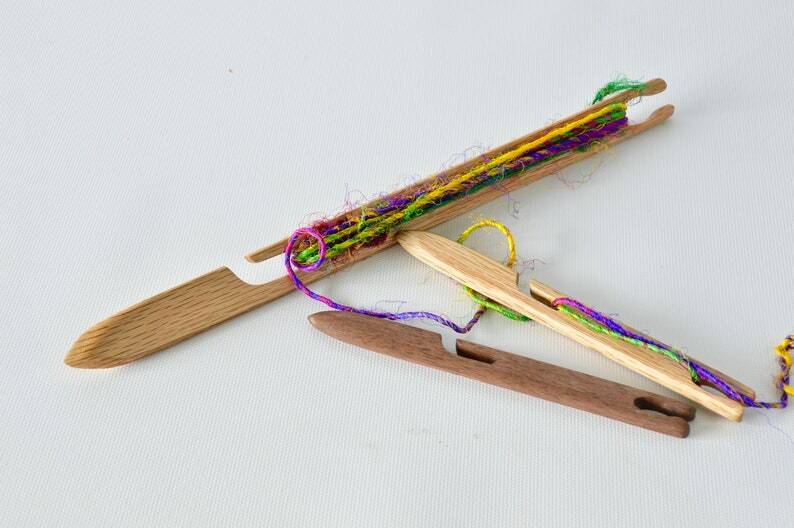 When I weave on my large triangle loom, I usually use loops of yarn to carry across. I was looking for something to make this easier, like, perhaps, a very large latchhook, when I came across this. it is PERFECT! It is also well made and so smoothly finished! I am absolutely delighted. As always I am so pleased with the workmanship and quality of the product from Windhaven. Great craftsmenship, nice surface finish, a perfect tool. Thank you.